On Monday, Naughty Dog creative director and writer Neil Druckmann will give the IGDA Toronto's 2013 keynote address, a look back at the creation of The Last of Us and a look forward at the impact he hopes it ultimately has on the industry. Leading up to that talk, Druckmann spoke with GamesIndustry International about the evolution of storytelling in games, and how the criteria for what constitutes a good game story has been changing. "You can track it and see what used to be considered the bar for good storytelling," Druckmann said. "Looking back at it, it was a lot of times substandard. And some of it was because of technology, because we weren't able to convey a lot of subtext or expression, so the dialog a lot of times had to do a lot of heavy lifting. Therefore the storytelling was very surficial and narrative beats where very on the nose. Now the storytelling can be a lot more nuanced." Druckmann signed up with Naughty Dog during development of the 2004 PlayStation 2 game Jak 3. The studio was evolving its approach to narrative at the time, going from simply character-driven fare like Crash Bandicoot to more sophisticated narratives like those in Uncharted and The Last of Us. Game narrative has come a long way since Crash Bandicoot. "Technology allowed us to at least move away from cartoony characters and to realize more human characters and tell more nuanced stories, and that's kind of the trajectory we've been on," Druckmann said. "There have been times when we've talked about doing other games or exploring different things, but we'd just come back to, 'This is our strength.' It's what we're good at. Maybe other games would be more successful commercially, but this is what we're drawn to; this is what we're passionate about. So we just keep coming back to telling these stories." However, the benefits advancing tech has on storytelling are changing. In terms of trying to render realistic characters, Druckmann said the industry is hitting the point of diminishing returns as the audience won't really care that much about depicting eyelashes and wrinkles better than ever before. "But if you're trying to tell a more dynamic story or use AI in sophisticated ways--some of the stuff we tried to do with The Last of Us--technology will definitely go a long way," Druckmann said. "We were running out of memory as far as how many animations Ellie can carry, or how much dialog we could stream at one time. And that's where going to the PS4 in the future could really help us in the dynamic area of the game where the story is responding to the player's input on a moment-to-moment basis. Technology still has a long way to go." Storytelling techniques are also advancing, and Druckmann was particularly taken with what he's seen coming out of independent studios lately. He specifically called out Gone Home and Papers, Please as two games with impressive narrative components, saying he was "blown away" by the kind of stories they told, and the mechanics used to tell them. "Change is going to happen much more rapidly going forward, and people who don't engage in that discussion, who don't try to appeal to audiences that are coming on, are going to be left behind." "With big AAA titles, it's sometimes hard to make these gigantic shifts as far as what a game is or what kind of story it could tell," Druckmann said, adding that the rise of independent games is allowing those shifts at the AAA level to happen much more quickly. "As more and more examples come to light, I think more people are pursuing better narratives," Druckmann said. "And I hope criticism of games and game narratives is becoming more sophisticated. I think before you would have had a hard time talking about tropes and how women are represented in games, or how characters of color are represented in games. But now I'm kind of excited by the discussion and the kind of criticism games are getting." While he acknowledged not everyone seems to enjoy that discussion, Druckmann suggested it was a sign that the market is getting big enough that people are now calling for more variety in their games. "I think that change is going to happen much more rapidly going forward, and people who don't engage in that discussion, who don't try to appeal to audiences that are coming on, are going to be left behind." Of course, the scope and cost of AAA games will limit the pace of those changes. "I feel like AAA games... we're on this cusp of at the very least seeing strong, non-sexualized female protagonists starring in games," Druckmann said. "You're going to see a lot more of those, and a lot more that are commercially successful. A lot of times in AAA games, people feel like they need to play it safe because there's so many parts of a giant corporation working on a global scale to launch a title that they don't want to take too many risks. But once you have enough evidence to say 'Hey look, this is actually not a risk, this can succeed commercially,' then creativity can flourish and new avenues can be pushed." There isn't really any difference between indies and triple-A studios. Only size. They both run according to the factory model. Disagree Tim, Huge difference comes in via risk adversity. The higher the cost of a game the higher the risk adversity. This is common in much of the entertainment industries. Walking into a meeting and saying " I have this crazy, never done before idea for a game I like to take a shot at, can you spot my 150 million?. Not gonna fly. Gone Home is overrated and not really a good example, the only reason why it got some popularity is because the story is based around homosexuality, but it's not really a good storytelling to be honest. It's BS, indie does exactly the same as triple A companies, only on a smaller scale, and normally all they do (lately) is getting old games into a new upgraded package, nothing new nothing special IMHO.. 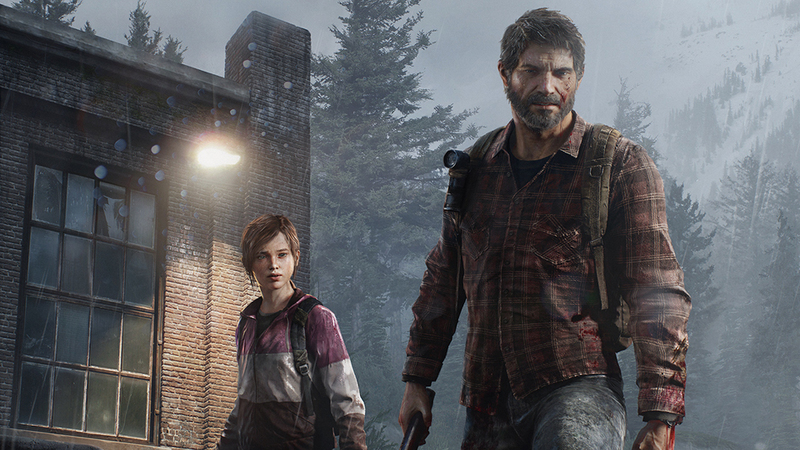 I really liked The Last of Us, but it played way too safe and didn't bring much new to the table. Good words from Druckmann too. @ Andrew I disagree, though Gone Home isn't a great example. Indie games have been pushing innovation for a while now. Journey, FTL, Minecraft, The Walking Dead, Amnesia, etc. represent some of the most interesting and unique games released this generation, and most of them were risks big studios would never have taken. That's not to say AAA never innovates, but there's a reason we get Call of Duty, Assassin's Creed, and Need for Speed every year, and it's not because they're full of new ideas. It's cause they're easy to make money on without major risks. Heck, Kickstarter alone has generated more original game concepts than every major publisher combined in the last 3 years. Go look up Among the Sleep. No, no. I don't think that's why it got some popularity at all now you mention it.It seems far more plausible that it resonated with people in some way on an emotional or design level. Not because it's got some "homosexuality" in it. And as for the storytelling, I thought it was smartly done and I'd like to see more everyday things tackled in videogames in a variety of different ways. I like shooting mens in the face but man, I don't want all my videogames to be shooting mens in the face. Gone Home is a great example of where we're at right now, we're somewhere that can support Gone Home being made. That's pretty good. Context is everything. Worth is not singled down to a type of mechanics. Everyone can compare a specfic narrative to an Aristotle formula defined thousands of years ago, just as in the next 30 years we will produce all the formulas for I terctivevstory tellin. But the human interest, the art, the real reason we play games is in the context of the experience. To correctly identify a connection between types of games bases on interactive similarities puts you on par (or lower) with a philosopher thousands of years ago but people are definetly missing the Forrest for the trees if that's all they are attuned too; or worse, if that all they value.